A bespoke two-storey rear extension will be added to this existing four-storey house on Hampton Park, Bristol, to provide a large kitchen/dining and open-plan living space, accessing a triangular glazed internal courtyard with three new bedrooms, beyond. The existing basement will be extended onwards and downwards, with a reinforced concrete box for the extension and a mass concrete underpin below the existing party wall and house. To consider how the basement, its superstructure, the underpinn and the steel frames would interact together, RISE produced a full 3D model using Revit of the existing and new structure. This also allowed a closer relation coordination between RISE and the architects to develop the technical details and sections through the building. 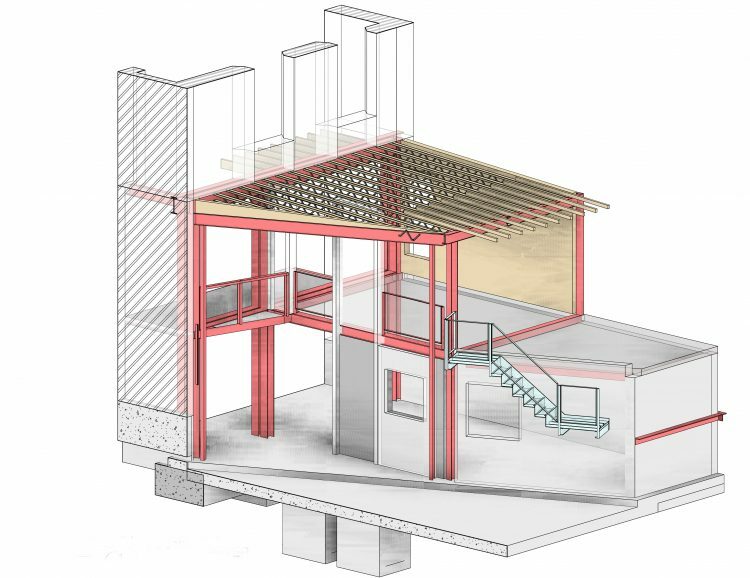 The superstructure will be formed traditionally with a beam and block slab at ground level, and with masonry walls and timber rafters for the flat roof. 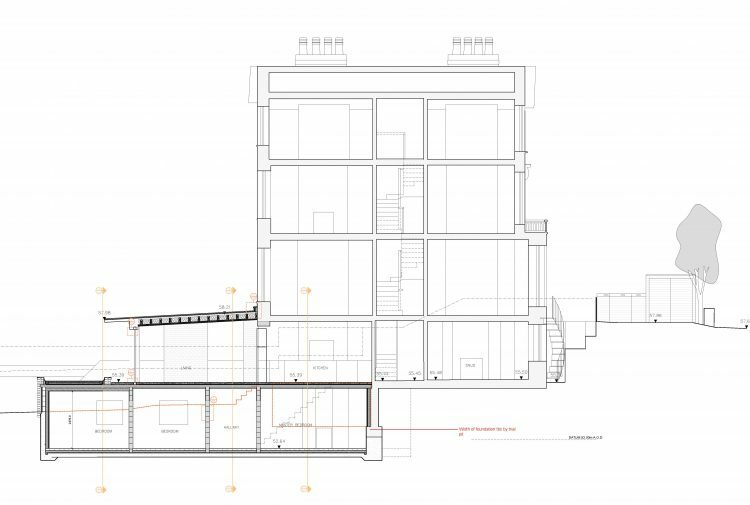 The large opening at the rear of the existing house will require a two- storey steel frame to support the three storeys above. 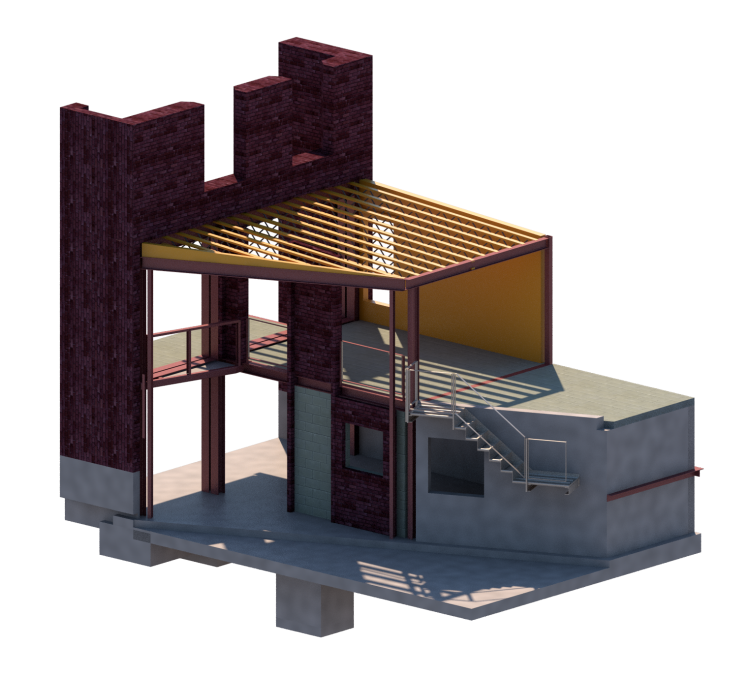 The steel frames will become the stability elements of the rear of the existing house. In addition, RISE had to consider external factors within our design, such as large trees which that needed to be protected by specifying hand dug trenches. 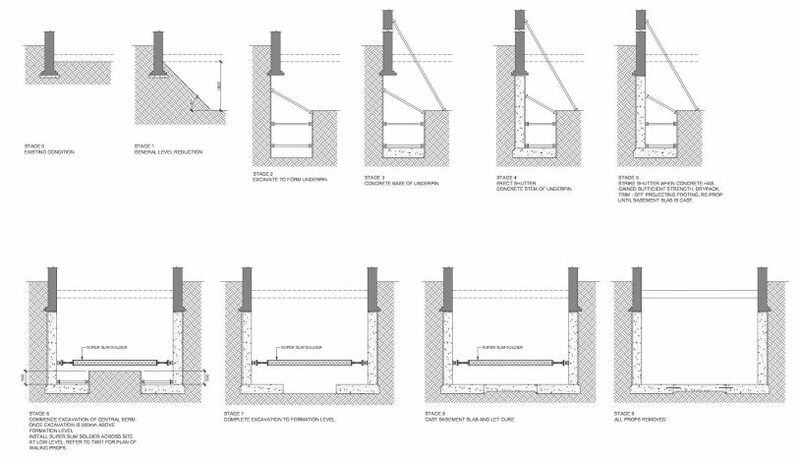 RISE also needed to ensure, stability to the neighbouring properties while excavating the basement, so we proposed a sequence of works to minimise risks and a shallow public sewer which that will be temporarily propped during the excavations. By having a high-quality 3D revit model, RISE were able to identify the critical design components in advance, while considering the permanent structure as well as the sequence of the works, allowing us to agree solutions with the architects ahead of the construction itself.